Monday night I ventured into Costco after work to pick up some dinner rolls, provolone cheese and meatballs for my poker game. I saw a restaurant on The Cooking Channel that served this great looking meatball sandwich with marinara sauce and provolone. My slider version will be a hit at poker. In fact, everything’s a hit with the poker group. No one has to cook. One of my guilty pleasures is a Costco hot dog. Though I prefer a real Chicago hot dog, Costco makes a mean hot dog for a buck fifty. I consider myself a bit of a hot dog snob. If it weren’t for the eight minute wait, I’d get them to run it through their pizza oven to char it up a bit. A hot dog that has been in the water bath too long has a waterlogged, watered down flavor. Even the texture changes from a crisp bounce to a mealy mess. I always ask for a hot dog from the back, the ones they’ll rotate to the front of the well. Last night they were out of hot dogs. I was hungry and really didn’t want to wait five minutes for them to get to temp. The counter guy was very nice and friendly and did a great job of selling me on their Polish dog. He guaranteed I’d be happy, or he’d give me a replacement dog at no charge. In the interest of time, I decided to take his recommendation. After the first bite, I knew I made the wrong decision. But I was hungry and finished it off as I shopped for poker. On the way out, I ordered another dog. I just couldn’t walk out with that Polish dog flavor in my mouth. The guy at the counter asked me how I liked the Polish dog. I told him that it wasn’t good, and I needed a fresh dog. He wanted to pay for the replacement dog. I argued with him stating that I had eaten the whole thing and was going to pay for the hot dog. After all, I ate it, and it’s only a buck fifty. This was a fight I was not going to win. He stated that the only reason I ordered the hot dog was because of his recommendation. I have to tell you, that was some of the best customer service I’ve ever had from a counter person. He didn’t make excuses and didn’t have to check with his manager or follow a policy. There is something very pleasant about dealing with empowered people. Make that part of your company culture and see your sales grow. 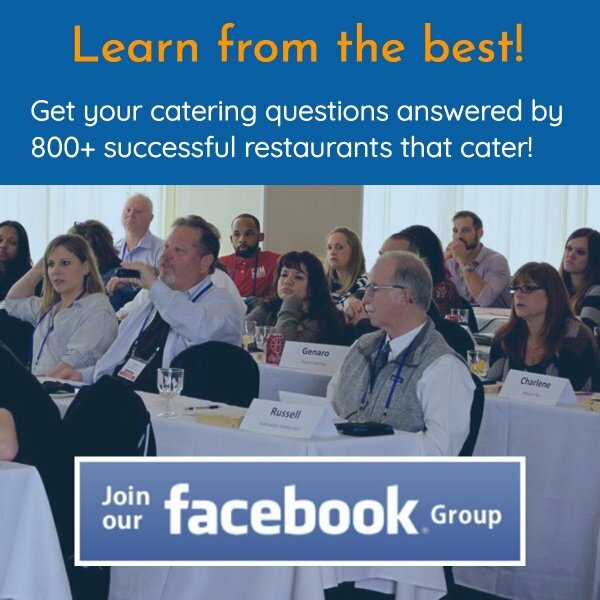 I’m sure you know the importance of having a database of your catering prospects and clients. The sale is often closed after multiple communications are made. Some experts say it takes a minimum of seven. I have firsthand knowledge of the importance of continuous follow up. It would be a mistake to rely 100% on email. Though it’s free or practically free, the low open and read rate takes many of your prospects out of the communication loop. Use snail mail at least once a month. Emailing your prospect and client list once a month is a very sound strategy. The important thing is to have a good “reason why” for the email. I have some clients who are excellent at turning themselves into mini-celebrities. By sharing stories from their life, they make a connection. Most people are uncomfortable with talking about themselves. If there’s a way to get past it, please do. Fame, even if manufactured, commands a higher price tag. Just don’t make the mistake of being boring. A good “reason why” for an email is what I call a Hallmark Holiday. Besides the most popular holidays like Christmas and Halloween, there are a million lesser known ones. There’s a book called Chases Calendar of Events that lists them all. 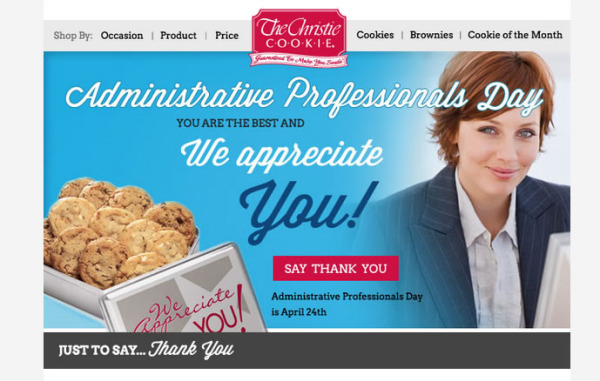 I was reminded via an email from a mail order cookie company I use for gifts, that April 24th is Administrative Professional Day. Today is the perfect time to fire off an email about Administrative Professional Day. You can either promote a catering special or offer a free gift card with minimum purchase to Admins who place a catering order. 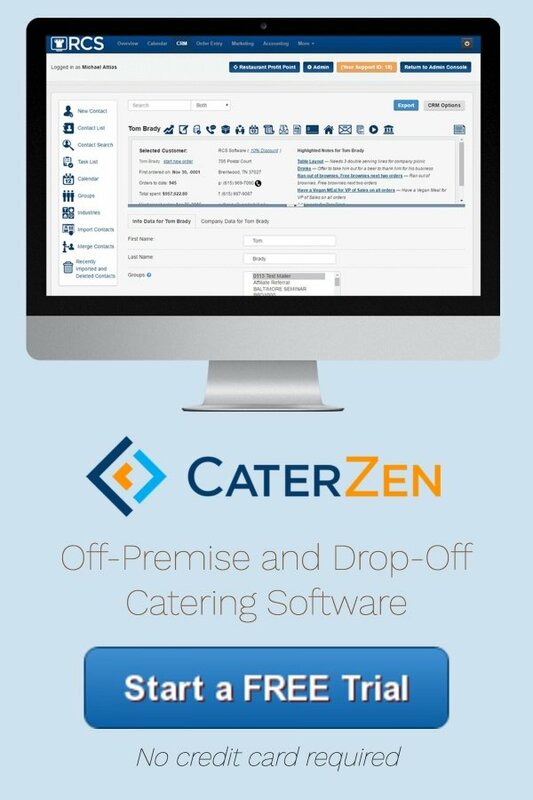 You may even email all your admin contacts and offer them a free lunch at your restaurant. This is a Hallmark Holiday honoring a niche many of your catering clients are part of.